The comic book craze has swept the box office with live action films dominating ticket sales to such an extent that it no longer feels like a genre devoted to a younger fan base. Marvel Comics (and Disney’s Marvel films) are at the forefront of this trend, but on the animated side, the comic book maker hasn’t forgotten about young audiences. Iron Man: Armored Adventures (Vol. 1) boldly re-imagines Tony Stark, the creator of the technology and the man living inside the Iron Man armor, as a teenager, with a brand-new origin story that plays out in the two-part introduction to the series (“Iron, Forged in Fire”). 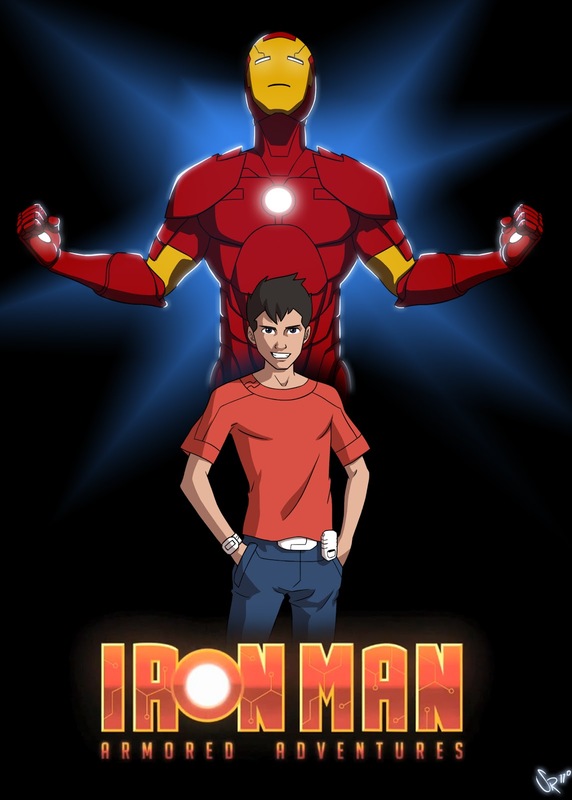 Happen’s Kids Critics screened the first two episodes along with a third (“Secrets and Lies”) in order to let you know whether or not the teenage Tony Stark/Iron Man has what it takes to make them forget about Robert Downey, Jr. as the live action hero. Each month, Happen’s Kid Film Critics received their own official Happen film critic packet and a press badge. TT Stern-Enzi, Cincinnati film critic, provided insight about the film and guided the children as they wrote this month’s film reviews. Read the reviews, and be sure to watch Fantastic Four (2005) and Big Hero (2014).